Publisher’s Editorial: Mr. Mayor, Show Some Backbone! 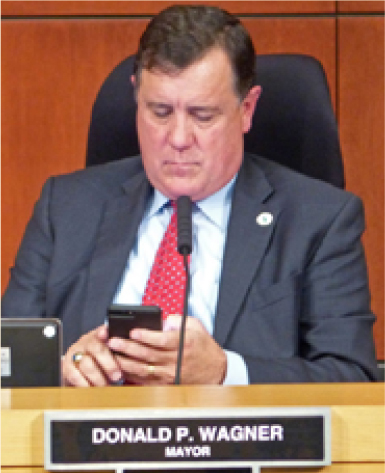 At the July 10th Irvine City Council meeting, Mayor Donald Wagner sought to defend himself against charges that he is disregarding the interests of Irvine veterans and Irvine residents, while doing the bidding of his principal campaign backer, multi-billion-dollar developer FivePoint Communities. Wagner claimed — as he has before — that he has voted for “no new development approvals” as Mayor. This is a demonstrably false and misleading statement. Wagner, of course, was for ballot Measure B, FivePoint’s unpopular land-swap proposal which would have replaced the planned Veterans Cemetery in the Great Park with zoning for accelerated development, including houses and massive apartment buildings. 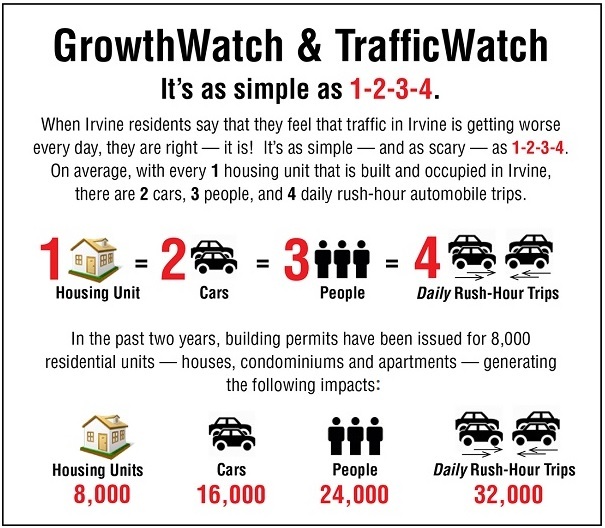 This, in turn, would have put 10,000 more cars and trucks on Irvine’s roads every day. Moreover, in the two years since Wagner was elected in 2016, his administration has accelerated the issuance of building permits for residential units — now up to 4,000 per year, roughly double the City’s historic average of 1,500 to 2,000 new houses and apartments each year. Not once has Wagner or his Council majority publicly shown any interest in slowing and controlling the issuance of residential building permits — something the Council can legally do — to meet the overwhelming traffic emergency that is diminishing the quality of life in Irvine. Mr. Mayor, it’s time to show some backbone and say NO to developers, especially to your chief benefactor, FivePoint. Publisher Franklin J. Lunding is a lawyer and businessman. He served on the Irvine Planning Commission and was Chair of the Irvine Transportation Commission during the 1980s. 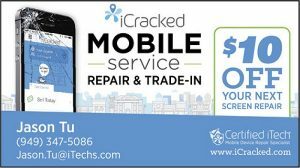 PreviousCityWatch (August): The Veterans Cemetery: Consensus and a Voter Mandate!